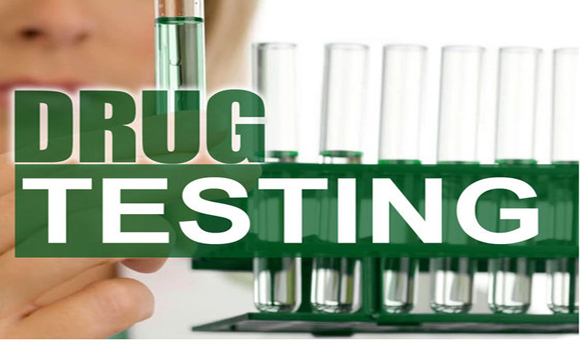 An editorial about random mandatory drug testing in schools. Please read and share. An Act of Disburdenment Amid the spate of extrajudicial killings in the current administration’s war on drugs, the signing of DepEd Order No. 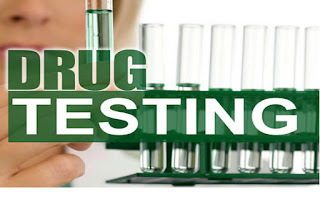 40 subjecting high school students of both public and private institutions to random mandatory drug testing rouse fears that they will become open targets of the campaign against illegal drugs. Yes even high school students are now, not spared but in the first place if you are not blameworthy and is acquainted with the guidelines, there is nothing to fear. Although the Department of Education said that this is to strengthen the government’s effort against illegal drugs, the primary ground for implementation is for prevention and rehabilitation of possible drug users and dependents, and not to harass them. This goes along with the objective of determining the prevalence of users among students, to discourage the use of drugs and to assess the effectiveness of school based programs. DepEd clarified that students will only be given the drug test under their parents’ consent which goes to an advantageous reason: Parents want what is best for their children. It is assured that the results will be dealt with utmost confidentiality. Unless, of course, these parents use their children as accessories of crime, they might have to abstain but that is yet another matter in need of immediate solution. Should a particular student be chosen randomly, the issue here lays not on the child’s vulnerability but rather to his/her innocence which is generally more relevant. Upon testing positive, it is only the beginning of the story and not the end. One will be provided with appropriate intervention measures as an effort to address the cause of their habit. This, as a matter of fact, becomes a road map to reinstatement which includes counselling and later treatments. Correspondingly, DepEd says the result will not be grounds for expulsion or disciplinary action against the student. Furthermore, it should not reflect in the student’s academic records or be used to incriminate him/her for further legal actions. Download K to 12 Learning Materials for Grade 10. Learner's Materials for K-12 Grade 10 subjects are here! Download K to 12 Teaching Guide (TG) for Grade 10. K-12 Teacher's Guide for Grade 10 subjects. 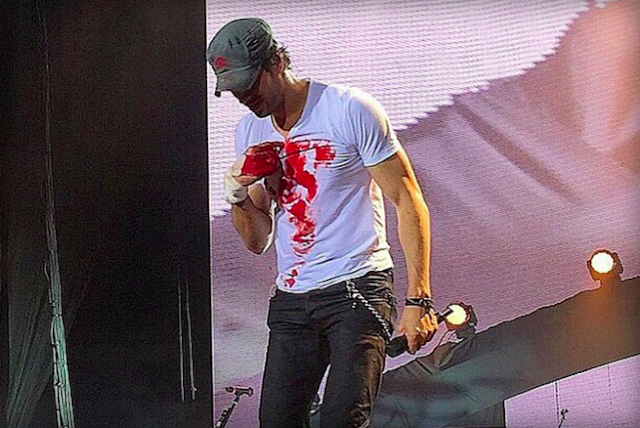 Enrique Iglesias was hospitalized after some of his fingers were sliced when he grabbed a drone during a concert in Tijuana, Mexico. 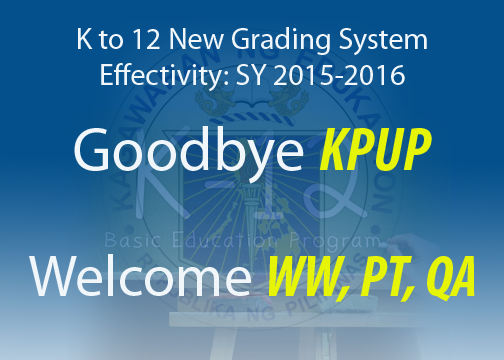 New K to 12 Grading System ready for SY 2015-2016 - KPUP Goodbye! K to 12 Grading System 2015-2016. Philippines' Department of Education (DepEd) issued on Wednesday, April 1, 2015 an order which included the "new grading system" for K to 12. Typhoon Chedeng Updates | Bagyong Chedeng UpdatesTyphoon Chedeng Updates will be posted on this page. Please bookmark and share this page to your friends for them to be updated with the condition of our atmosphere as Typhoon Chedeng or Bagyong Chedeng, with international name Maysak, is within the Philippine Area of Responsibility (PAR). 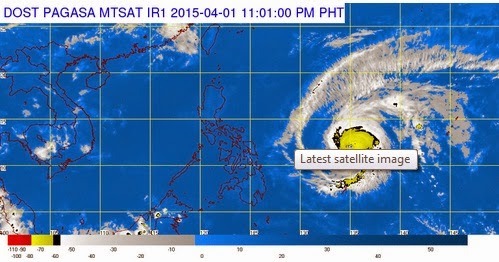 Typhoon Chedeng Update: April 5, 2015 @ 11: 00 a.m."CHEDENG" is now traversing Isabela Province. At 10:00 AM today, the center of Tropical Depression “CHEDENG” is now over Palanan, Isabela (17.0°N, 122.2°E). It is moving with Maximum winds of 55 kph near the center. "CHEDENG" further weakened to tropical depression and remains quasi-stationary over the eastern seaboard of Aurora. Download K to 12 Learners Materials for Grade 4. Learning Materials for K-12 Grade 4 subjects are here! 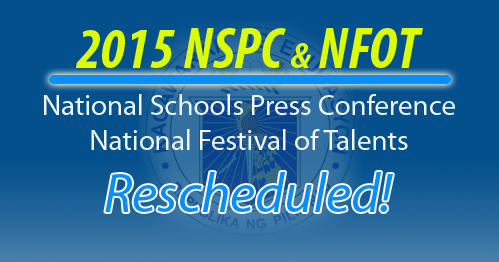 2015 National Schools Press Conference (NSPC) and National Festival of Talents (NFOT) will be rescheduled due to bad weather condition brought about by Typhoon Chedeng. 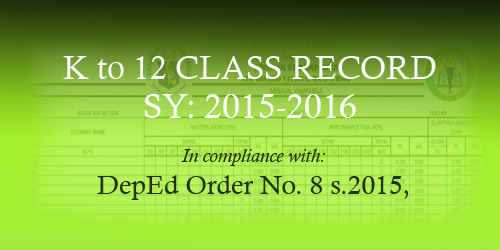 Looking for K to 12 Class Record or K to 12 Grading Sheet that is formatted using the K to 12 grading system that will be used starting SY 2015-2016? You are on the right page because I will share to you the download link of the different sample class record format for K-12. It's up to you to edit or customize the class record according to your preferences. Download Technology and Livelihood Education (TLE) Teaching Guides (TGs) and Learner's Materials (LMs) for Grade 10 from the links below. Grade 10 LMs and TGs for TLE subjects are available here! 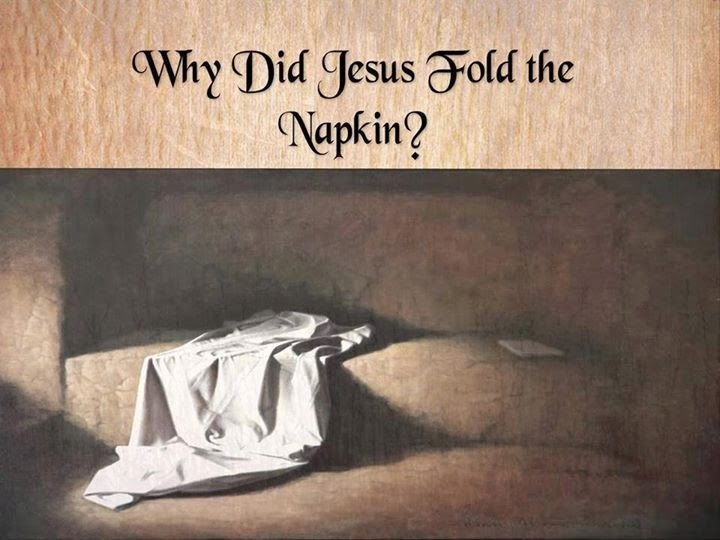 Happy Easter Sunday: Why Did Jesus Fold the Napkin?